Providence, RI (6/13/2016): Jack Ferreira, who is in his 44th season of professional hockey – including nine years as an NHL General Manager – has been named by the Rhode Island Reds Heritage Society as winner of its 2017 R. I. Native Born Hockey Achievement Award. The award will be presented to him at the Society’s 16th annual reunion to be held at Goddard State Park in Warwick on Sunday, August 7, starting at noon. To obtain tickets to the reunion event please contact Mal Goldenberg by phone at 401-782-6623 or e-mail mal@rmcri.com. Ferreira, born in Providence, learned his hockey goaltending craft first as a star at LaSalle Academy, then as a former All-America goaltender at Boston University, where he later earned induction into that school’s Athletic Hall of Fame. Before entering pro hockey, Ferreira was Assistant Coach at Brown University, Princeton University and West Point. He is now in his 10th season with the Los Angeles Kings, serving as Special Assistant to the General Manager as he works closely with the entire Kings Hockey Operations department, including President/General Manager Dean Lombardi (also from Rhode Island) and Vice President/Assistant General Manager Rob Blake. Ferreira came to the Kings from the Atlanta Thrashers, where he was responsible for scouting throughout North America and Europe as the Director of Player Personnel for the club. He also assisted General Manager Don Waddell in all player-related decisions. Ferreira was an original member of the Anaheim Ducks management team prior to his stint with the Thrashers. With the then-Mighty Ducks, he served for two seasons as Vice President of Hockey Operations (1998-00) and five seasons as Vice President and General Manager (1993-98). During his tenure, the Ducks team that he helped build from the ground-up equaled an NHL record for victories as a first-year club (33) in 1993-94. Before joining the Ducks, Ferreira helped the Montreal Canadiens capture the 1993 Stanley Cup Championship as their Director of Pro Scouting. He also helped launch the San Jose Sharks franchise as Vice President and General Manager of the club from 1990-92. 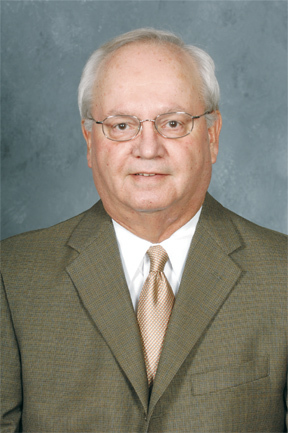 Ferreira’s first opportunity to head up an NHL franchise was when he served as Vice President and General Manager of the Minnesota North Stars from 1988-90. With both San Jose and Minnesota, Ferreira worked with Lombardi. Ferreira has also served as Director of Player Development for the New York Rangers (1986-88), as a U.S. and College Scout for the Calgary Flames (1980-86), and he worked for the NHL’s Central Scouting Service as a New England Area Scout (1977-80). His professional career began in 1972 with the New England Whalers of the World Hockey Association, where he held various roles including Head Scout, Assistant Coach and Assistant General Manager through 1977. Ferreira joins former Rhode Island great who have received the award. Past winners include Lou Lamoriello, Sara DeCosta Hayes, Bill Besile, Jack Capuano and Ralph Warburton, to name a few.